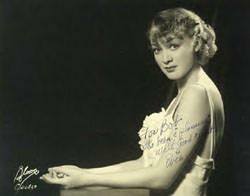 "For Bob, It's been a pleasure... Eve"
Eve Arden played the fun-loving but sometimes frazzled English teacher at Madison High School, Our Miss Brooks . 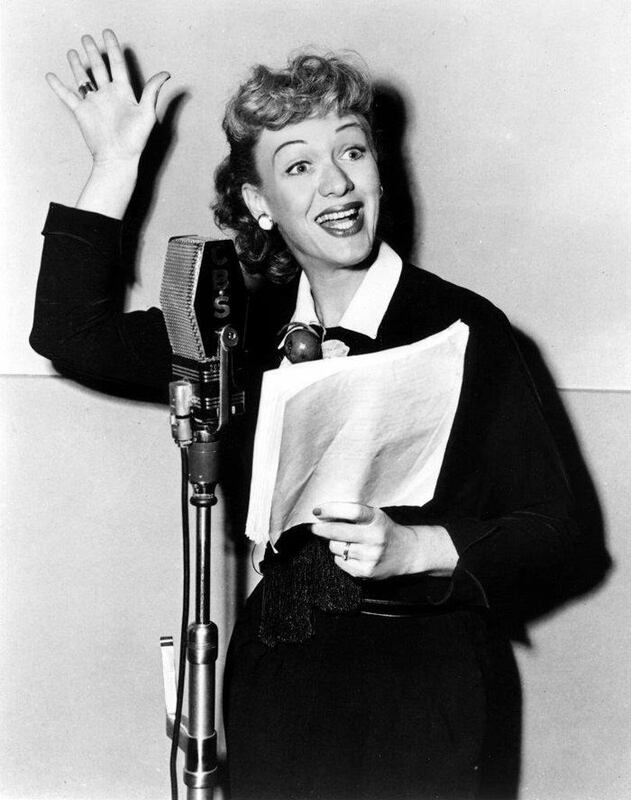 Probably the most famous teacher ever on radio, Connie Brooks was a wonderful combination of sincere and smart, and Eve Arden played her perfectly. From the very beginning of the radio run in 1948, Our Miss Brooks became a favorite of women, high school kids and parents across the nation. As she taught English on the show, it made perfect sense that she had the funny lines. 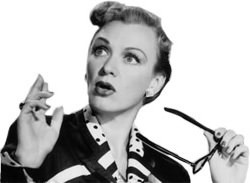 Eve Arden's timing and delivery made her one of the best radio and television comedians, and she's fondly remembered by her many fans. Teachers across the country related to Our Miss Brooks Arden received thousands of letters from teachers relating their own frustrating experiences. She was even offered teaching jobs, which she turned down. She did sometimes speak at PTA meetings. 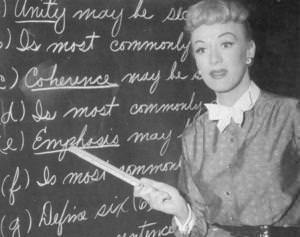 Teaching English was no cup of tea for Our Miss Brooks . First on the list of characters was Mr. Osgood Conklin, the principal. Again, the casting of the show was perfect, as Mr. Conklin was the great character actor Gale Gordon (though initially Joe Forte). 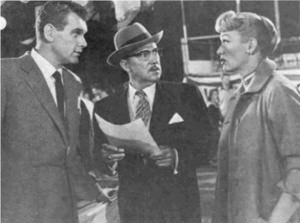 Those who heard the show know Mr. Conklin was a perfect foil for the witty Miss Brooks. He was the perfect type A, bossy and irascible character, like Dagwood's boss and Archie's principal. Also a favorite was the loveably goofy Walter Denton. The later star of TV's The Real McCoys, Richard Crenna did Walter as a kid very much like Henry Aldrich. 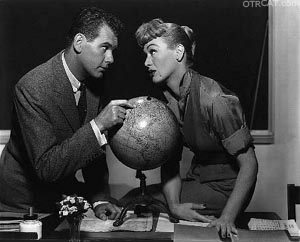 The fine radio actor Gerald Mohr (Philiip Marlowe) played French teacher Jacque Monet, and a well-known movie idol of the 1950s, Jeff Chandler, plays bashful biology teacher Mr. Boynton, who was Miss Brook's love interest (though not consummated in marriage.) Chandler was replaced by Robert Rockwell in 1951. Other radio situation comedy shows of this type are Its Higgins, Sir, Life with Luigi, The Mel Blanc Show, My Favorite Husband, Ozzie and Harriet, The Life of Riley, The Aldrich Family, Easy Aces, Duffy's Tavern, The Adventures of Maisie, Father Knows Best and The Great Gildersleeve. Entertaining, plenty of laughs fun to listen to.